Are you fulfilling your customers’ needs? 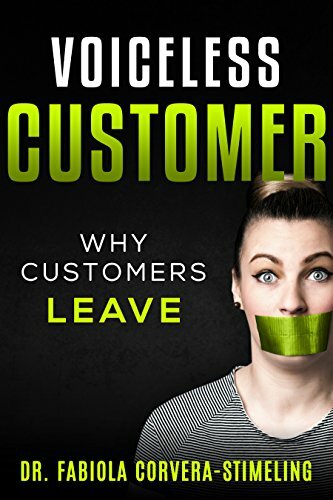 Do you know why your customers are leaving you? Are you creating value with your customers?In Voiceless Customer, Dr. Fabiola Corvera-Stimeling gives you a look inside service organizations using a customer lens to understand why firms struggle to serve and retain their customers. In this book, you will discover:•Why service organizations fail at implementing customer experience strategies•How to recognize and address the lack of customer understanding•How to identify and eliminate the barriers impeding firms to better serve their customers•How to ensure customer retention efforts succeed•How to start creating value with customers to improve customer retention and drive innovationThis book will give you a different perspective on why firms are failing to improve customer experience to better retain customers.